Recent robot technology (RT) has made remarkable progress in both manufacturing and service sectors. Because of this RT advanced technology, there are growing demands to make robots work more friendly and flexible coordinated with human for service. There are many research and developing works undergoing for robot and human interaction, such as assistance and supports of human by robots in manufacturing, inspection and maintenance, entertainment, education, bio-medical applications, rehabilitation and techno-care of aged people. Robot is required to have the more flexibility and adaptation control to human behavior, more friendly robot and human interface, and estimation capability of human intention some way to make more proactive motion. There are a lot of problems to solve them with robotic sensor, actuator, control, communication and interface with human. Thus human will be able to work interactively with robots together in future and will receive assistance and support from robot, in terms of physical, skill and intelligence levels. Some examples of the on-going projects will be shown in this presentation. Prof. Toshio Fukuda received the B.A. degree from Waseda University, Japan, in1971, and the M.S and Dr. Eng. from the University of Tokyo, Japan, in 1973 and 1977,respectively. In 1977, he joined the National Mechanical Engineering Laboratory. In 1982, hejoined the Science University of Tokyo, Japan, and then joined Nagoya University, Nagoya, Japan, in 1989. Currently, he is Professor of Department of Micro-Nano System Engineering at Nagoya University, and Director of Center for Micro and Nano Mechatronics, where he is mainly involved in the research fields of intelligent robotic and mechatronic system, cellular robotic system, and micro- and nano-robotic system. 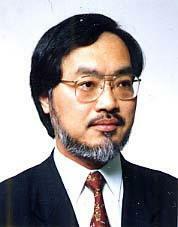 Dr. Fukuda was President of IEEE Robotics and Automation Society (1998-1999), Director of the IEEE Division X, Systems and Control (2001-2002), and Editor-in-Chief of IEEE / ASME Transactions on Mechatronics (2000-2002). He was Founding President of IEEE Nanotechnology Council (2002-2005) and President of SOFT (Japan Society for Fuzzy Theory and Intelligent Informatics) (2003-2005). He is a member of Japan Council of Science (2008-). He received the IEEE Eugene Mittelmann Award (1997), IEEE Millennium Medal (2000), Humboldt Research Prize (2003), the IEEE Robotics and Automation Pioneer Award (2004), IEEE Robotics and Automation Society Distinguished Service Award (2005), Award from Ministry of Education and Science in Japan (2005). IEEE Nanotechnology Council Distinguished service award (2007). George Saridis Leadership Award (2009), IEEE Robotics and Automation Technical Field Award (2010), Best Googol Application paper awards from IEEE Trans. Automation Science and Engineering (2007). Best papers awards from RSJ(2004) and SICE(2007), Special Funai Award from JSME(2008), IEEE Fellow (1995), SICE Fellow (1995), JSME Fellow (2001), RSJ Fellow (2004).